Little kids will love to leap and frolic around this GIANT 4 metre Splashn Snake! This cheerful lawn reptile projects a cool, continuous spray in all directions to keep kids cool on the hottest days. 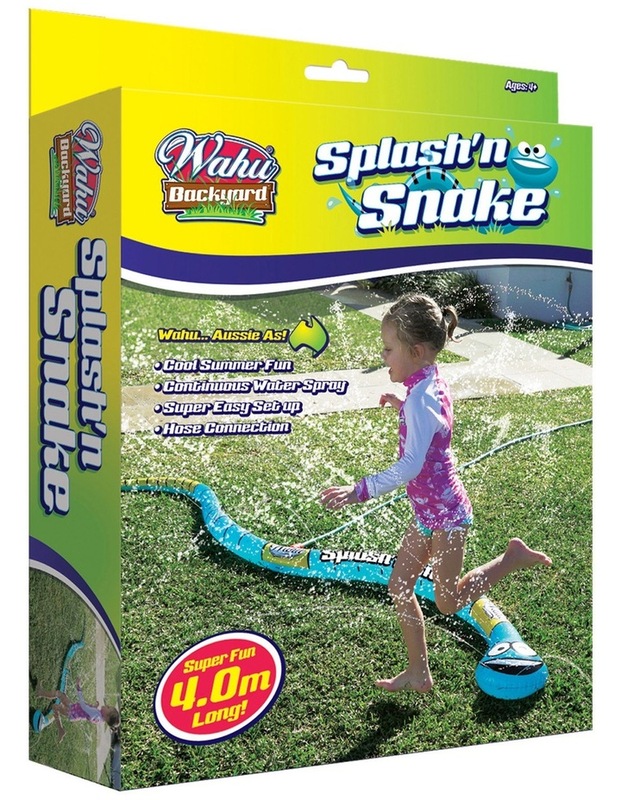 Connect the Wahu Splashn Snake to your garden hose with the hose fitting provided then, water the kids and the lawn simultaneously!